On the other side, people think every victory is important. Here's a pic of the trophy. Sporting took the title based on a goal differential, which it racked up with Friday night’s 6-1 victory against the Arizona Sahuaros, an amateur team that competes in the National Premier Soccer League. “Every time you step inside the white lines, you (want to) win,” Sporting coach Peter Vermes said. “Winning is important. That’s what we do. If we can create the habit now and move forward, that’s fantastic. That was important considering that Sporting had scored but five goals in its previous six preseason games. While allowing two goals didn’t make Vermes happy, it was a learning experience. Sporting seems to be ramping up as the season opener at Chivas USA approaches on March 19. The Red Bulls started front-line players like Thierry Henry and Rafa Marquez. 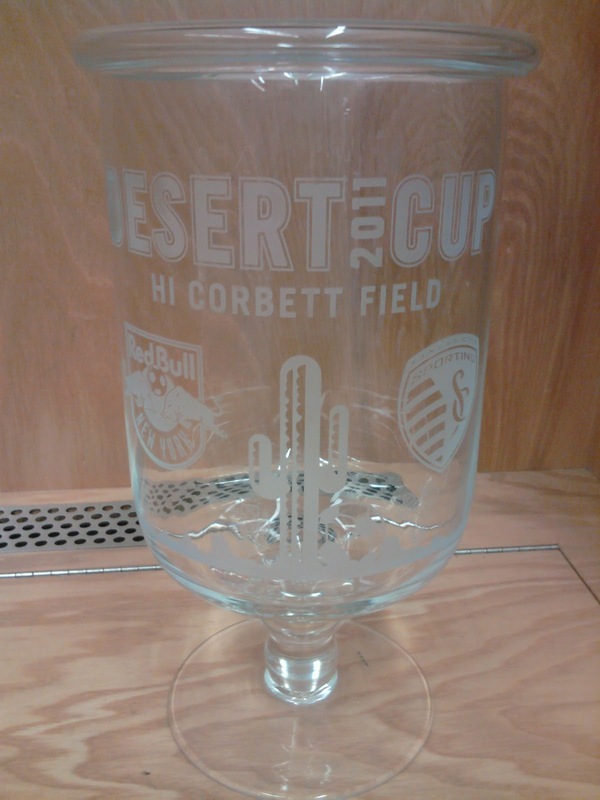 Next up, Sporting plays Real Salt Lake on Tuesday at 7 p.m. and Wednesday at 11 a.m. in Phoenix. Vermes expects a challenge in those games. **Vermes said defender Michael Harrington, who has had a strained leg, likely will play against Real Salt Lake.